Think you’re seeing more ads for smartphones? Well, that’s because you are. The mobile industry has become one of the nation’s biggest advertising categories over the last few years and spending has swelled as telcos and handset manufacturers wage an increasingly difficult war for the American consumer. Telecom is the third-biggest ad category by spending (behind retail and automotive), and the fastest-growing among the top 10, according to Kantar Media, a unit of global ad giant WPP (LON:WPP). Wireless carriers and handset makers spent $9.4 billion in 2013, up 8.2 percent from the prior year. What’s driving the increased spending? The U.S. smartphone market is saturated and once-novel features (apps! nice camera! touch screens!) have become commodities. New entrants from China and now Amazon’s (NASDAQ:AMZN) Fire Phone come in each year. Then there's the two-year upgrade cycle: Each interval is another opportunity to convert an iPhone user to Android or Windows. 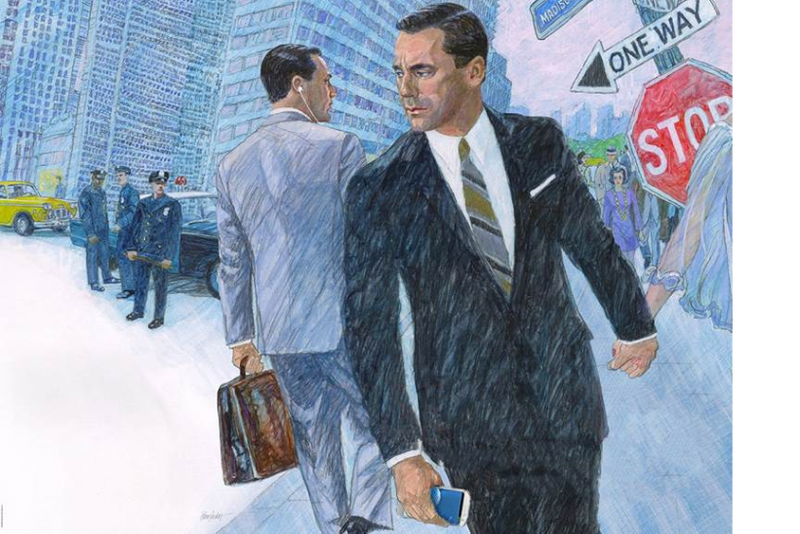 In other words, if Don Draper were working today, he’d want a wireless accounts. On TV, the battle is particularly fierce. Since the beginning of the year, device manufacturers have spent $366 million on national TV ads for mobile phones and 36,597 ads have aired since the beginning of the year, according to iSpot TV. The spending leader, by a wide margin, is Samsung (KRX:005930), which has spent $183 million since the beginning of the year on ads for the Galaxy s5. Then comes Apple (NASDAQ:APPL), which shelled out $54 million advertising iPhones, and HTC, which has spent $53 million. The latest entrant, Amazon, has spent $18.2 million during the month of July alone on TV ads to introduce the Fire Phone to the public, according to iSpot TV. That’s just a shade behind Samsung, which spent $25 million in the same period and slightly more than Apple, which spent $17.2 million. This doesn’t count the carriers themselves -- AT&T (NYSE:T) is the No. 2 advertiser in the U.S. and Verizon (NYSE:VZ) is No. 6 -- which spend co-op dollars in exchange for exclusive access to phones. The U.S. market is saturated, so winning market share means taking it from someone else with very deep pockets, an expensive proposition. Another problem is diminishing returns on new features. When all smartphones do roughly the same things it becomes harder to create demand for them. Appealing to emotion is a different proposition than trying to compete on features or price, “which just isn’t winning the argument right now,” Wiener said. What happens in a mature market is handset makers will try to segment it with high- and lower-end smartphones, as Apple did last fall with the iPhone 5s and 5c. They appear to be set to do that again this fall with a small and large screen iPhone 6. It all means one thing: more phones at more price points and more ads to get you to want them.